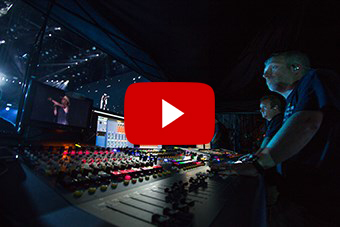 Earlier in the summer, MIDAS reported that country superstar Kenny Chesney was heading out on the road with not one, but two MIDAS PRO X digital mixing consoles as part of his 2016 Spread the Love Tour, which included 14 major stadiums. The production company for the much anticipated tour, Morris, invited MIDAS along to meet the crew responsible for Chesney's monitor sound. In the latest 'Behind the Desk' interview series, MIDAS meets Phillip 'SidePhill' Robinson and Bryan “Opie” Baxley at monitor world in the Chulavista Amphitheatre, CA.